Farm properties are a unique category of real-estate. There are many complex aspects to purchasing a farm that is not involved in the urban real-estate market. Make sure your agent is knowledgeable in farm and rural issues. Getting a good agent in the mix will save you both time and money when you buy a farm. 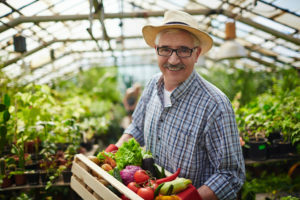 Although you may not sell all of your main production at the local farmer’s market, these types of locations can add a lot of needed cash flow to the small farmer. Having one nearby will allow you to maintain cash flow throughout the year by marketing complimentary items. If you have some crops that appeal directly to end users, you can maximize your margins by selling directly at the market rather than to resellers. What sorts of buildings and improvements are on the property? How many of them are useful to you in your farm business plan? Is there infrastructure or buildings that can be adapted to your needs if they don;t already match them currently? If the farm comes with equipment, or a stockpile of resources like hay or firewood you may be able to use them to increase your returns. What sorts of crops or livestock were raised on the property previously? Are there any parts of the property that have had different purposes in the past? The current owners may provide information, but consulting with the neighbors may also yield valuable insights about the farm you are buying. What will your property taxes be? If the land is zoned as farming, you will have to keep it in prodcution in order to keep the lower farm tax rate. If it’s not zoned for farming, you will have to inquire with the local zoning authority how to get the proper zoning approved. Comprehensive soil tests and profiling will help you prepare for the best crop choices for your new farm. If you are interested in organic production, it would be wise to test your soil for residues and other heavy metals that may inhibit your ability to grow organically. This can be expensive but worth the investment. If you plan on buying a farm, this is by far the most important resource to consider before you buy a farm. Water rights law is very complex and making sure you understand your rights and usage is extremely critical. Know if you rights are currently valid and active. What are the water sources on the property? It is also important to know what year your rights date back to. Senior water rights always get the water first. Do you have ponds, creeks, or wells that you are legally able to irrigate from? What is the drinking water source? If from a well, test your water for metals and other contaminants. A little bit of planning while you are looking for your new farm property can save big headaches in the long-run. If you are starting or buying a farm, Canadian Grants Business Center can help you locate the funding to get your farm business going. Start or expand your farming business now: the Canadian Grants Business Center can help. Egg demand has been growing off the charts in Canada over the last few years. Experts are crediting the introduction of “All day Breakfast” at the countries major restaurants, combined with a renewed focus on eggs as a healthy food item. Whatever the reason, Canadians are consuming eggs at a growing rate every year. 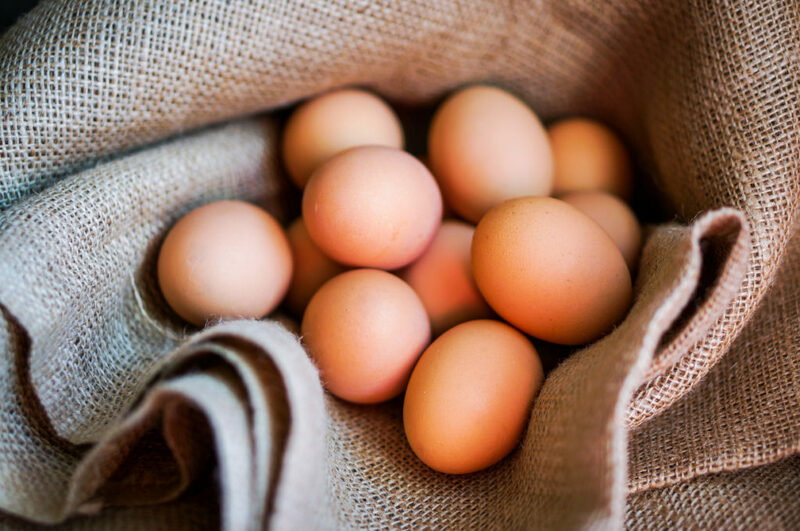 The increased demand for eggs and public interest in eggs has created a demand for high quality, farm fresh and organic eggs. It’s a great time to be an egg farmer. This increased demand provides a unique opportunity for farmers to add or expand an egg laying flock, with the intention of selling the eggs at a premium directly to consumers at a premium. Egg farming is a great choice as a side business for other types of farming, because it is not space intensive, provides year-round income, and synergies with crop growing nicely (chicken droppings are a great fertilizer). The upkeep required for chickens numbering less than a few hundred is reasonable as well. The initial investment can be quite reasonable, requiring little equipment other than an insulated building and fenced in area for the chickens to forage. Young chickens can be purchased from a local supplier, along with quality feed, allowing any farmer to jump-start an egg operation in mere months. The Canadian Grants Business Center can help. Greenhouses are an important way to grow crops outside of the usual growing season and a great way to increase yields. 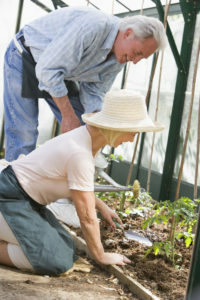 Canada has a unique climate, and as such special care is required when establishing a greenhouse, large or small that will produce a good return for the owner. Light is required to grow any plant, so choose a material that lets lots of light through. A good rule of thumb is a material that allows at least 70% of light through. Insulation performance will drop as transparency increases. It’s important to balance light transmission with the R-value (the thermal resistance) of the material. Many greenhouses are transparent on all sides. A cold climate greenhouse may not be fully transparent because conserving heat is a priority. Winter nights are dark and cold and temperatures need to be managed. Installing windows on the side facing the sun, allows the other sides and the roof to be insulated. The ground underneath the greenhouse should also be insulated. The heat that collects in the earth during the day, shouldn’t be allowed to just disappear out into the ground. The windows themselves can be insulated with removable shades after dark. Cold climate greenhouses are designed to provide optimal growing conditions during the winter. As a result, they can get too hot in the summer. It’s important to install proper ventilation into the greenhouse that provides enough ventilation during those hot summer days. Thermal mass will harvest and store the warmth of the sun during the day and release it back at night to heat the greenhouse. This minimizes temperature fluctuations in the greenhouse and will prevent the temperature from dropping during cold nights. Common materials can provide thermal mass: water, stone, cob, or even the earth itself. Water can be a risky choice because it can freeze, but it’s also one of the most flexible thermal mass materials because you can easily add or remove containers fo water. There are two ways to take advantage of thermal mass: heating the air or heating the growing beds. The energy required is lower to heat only the growing beds but can be harder to install or modify. In addition to thermal mass distributing heat, and the rays of the sun working to heat a greenhouse during the day, on cold days and during the night your greenhouse may require additional heat. Often Wood burning solutions or propane heaters can be good choices, as they are equally easy to install in remote areas. Commercial scale greenhouses are not cheap to build. A solar panel system can have a payback time of years. A four-season greenhouse should be simlar in terms of payback time. Long-term production yield will be higher, as the greenhouse allows longer growing season but also a kind of insurance against weather risks. The end of this year is fast approaching; 2019 Will be here soon. Now is the best time for new and existing farmers to ensure that they maximize funding opportunities by applying to any remaining 2018 programs, and getting started early on 2019 programs. With the harvest season rapidly ending, there is no time better than right now to get any financing, expansion and restructuring plans underway. Some off-season effort can lead to much better productivity in the growing season. When you are ready to apply for the last 2018 funding programs, and get the 2018 information you need to get a leg up, the Canadian Grants Business Center can help. Gourmet mushrooms. Mushrooms can be an ideal second crop for Canadian farmers, as they are grown indoors and produce a high return per square foot. 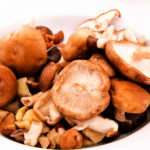 The two gourmet mushrooms varieties with the largest demand are oyster and shiitake. Oyster mushrooms can yield up to 25 pounds per square foot of growing area every year. At an average price of $7 a pound, a 10 x 10 space can generate $17,500 in a single year. Oyster and shiitake can be dried, or sold fresh, allowing for flexibility in distribution and timing. Garlic. 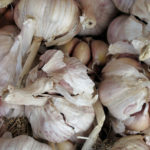 The 3 types of gourmet garlic can provide a great boost to farm revenue. Rocambole, Purplestripe and Porcelain varieties offer superior flavor and command a premium at retail. These gourmet varieties can sell for as much as $10 a pound. In good soil, an acre planted with garlic can yield 15,000 pounds. Garlic is a hearty crop that tolerates a wide range of soil and weather conditions, and that’s why many growers rely on it to provide dependable income year in and year out. Herbs. The biggest herb demand is for fresh culinary herbs. 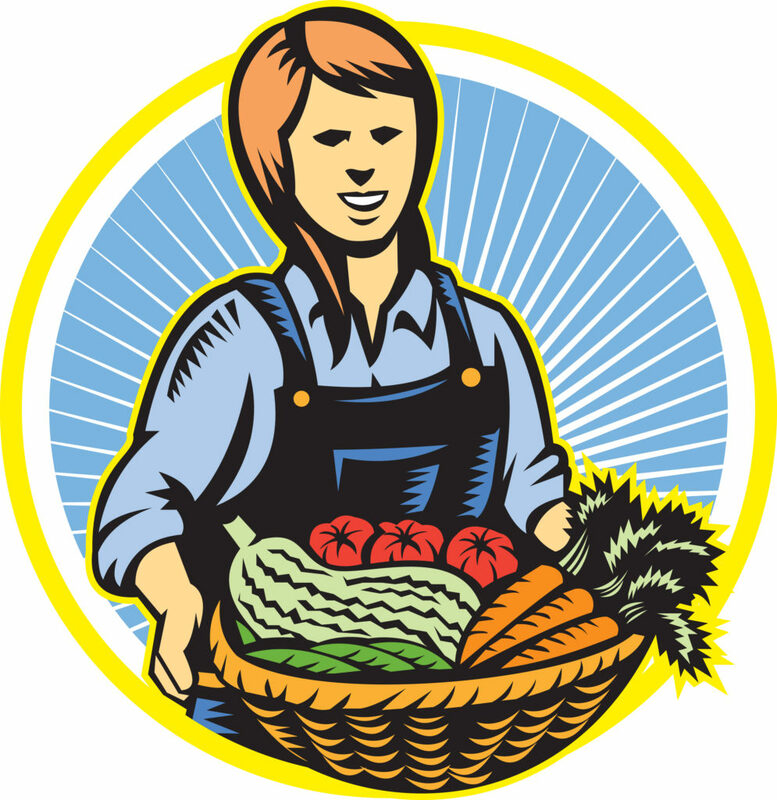 Growers can supply customers directly at farmer’s markets to maximize revenues. A great way to add value is to package 4 herbs into a windowsill size herb garden. Dried culinary herbs can also be packaged to sell at the farmer’s market, extending shelf-life. 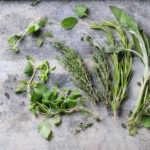 With hundreds of choices, including a broad range of ethnic herbs for serious cooks, growers can focus on mainstream and niche herbs to cater to a variety of clients. S tarting or expanding a farm can be a challenge, but is also very rewarding, both financially and in terms of personal satisfaction. There are many farm grants programs set up to facilitate farm investment and encourage growth. Farm upgrades can be a great way to drive on-farm productivity in 2017 and for tomorrow. When running a dairy farm, milk production is the main source of farm revenue, and so the dairy farmer will try to maximize the quality and quantity of milk produced by the herd. 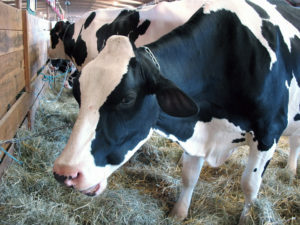 Dairy farming has a unique set of equipment requirements as compared to other types of animal farms focused on raising livestock for consumption. The milking setup and equipment can have a major effect on the efficiency and quality of the milking process. There are several levels of complexity when it comes to milking equipment. The least complicated is hand milking, which is not really viable for a commercial farm in today’s day and age. As we go from less complicated to more complicated milking equipment setups, we see a whole range of setups starting at the simplest labor intensive vacuum assisted setups all the way to completely automated robotic milking stations. Fully automatic milking systems are somewhat popular in Europe but remain much less popular in Canada. The majority of dairy farms in the Canadian market continue to use more traditional, cost-effective and easily maintained equipment. A typical milking machine extracts milk from the cow’s udder by vacuum. They are designed to apply a constant vacuum to the end of the teat to extract the milk, transfer it to a container, and maintain blood circulation with a regular squeeze. A milking machine installation consists of a system of pipes connecting the various vessels and other components through which air and milk flow. The system operates by vacuum, and therefore requires forces to be applied to function. Atmospheric pressure forces air, and intra-mammary milk pressure forces milk, into the system. The combination of these forces causes flow. To work continuously, air and milk must be removed from the system at appropriate rates. The air is removed with a vacuum pump and the milk is removed by a milk pump. The right milking equipment can help raise efficiency and keep dairy cattle in top shape. The cost to build a milking parlor (milking facility) with equipment can range anywhere from $30,000.00 on the low end upwards of $300,000.00 for large and complex installations. Milking equipment costs can be substantial, and it’s important to take advantage of all sources of funding available to your farm. Whatever you decide: Buying new or used equipment will be a key to your on-farm success. Start or expand your farming business now: the Canadian Grants Business Center can help. 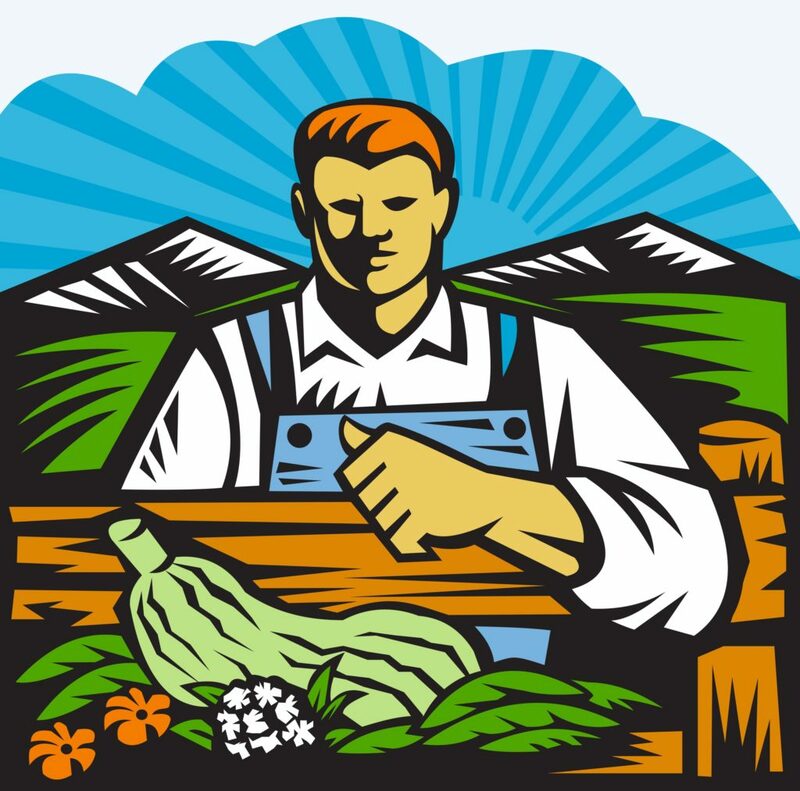 In order to properly plan for a new or expanded farming business, proper equipment is a must. Different kinds of farming require different equipment. Cattle farming is more than just a business, it is a lifestyle. There is paperwork, production, and everyday chores to keep you busy. Here are just a few: fence mending, feeding, vehicle maintenance, grazing management and animal health tasks. A cattle farming operation should be as efficient as possible. This way, an operator can be more productive and have more time for projects and personal time. The right Cattle equipment helps an operation run efficiently. A tractor can pull a trailer that carries feed, and eliminate the need to drag around bins. An auger for the tractor can change digging for fence post installation and repairs from back breaking work to a more manageable task. There are other useful tractor add-ons like a soil turner that will help grass regrow, and attachments to help prepare and harvest hay. This is the equipment necessary when moving, weighing and inspecting cattle. Equipment includes: calf tables, cattle headgates, squeeze chutes, loading chutes and cattle handling accessories such as weighing scales, head chains and squeeze chute adaptors. Corral systems are small enclosures that help contain animals and limit movement. Corral systems are either permanent or portable. Prices depend on the number of cattle it can hold, as well as additional features. Some corral systems have adjustable alley sections, arena panels, a smaller holding pen, adjustable alley gates and alley frames that can connect directly to a squeeze chute. This equipment is needed for cattle feeding. Cattle feeders are a must in feedlot settings and are highly recommended for ranchers raising grass-fed cattle. In feedlots it is where cattle are entirely fed; for pasture cattle, it is also needed for giving nutritional supplements. Feeder equipment includes: creep feeders, bale feeders, bulk mineral feeders and bunk feeders. Large livestock require a lot of water. Cattle waterers include troughs and bowls. The materials range from galvanized steel to rubber to concrete waterers. 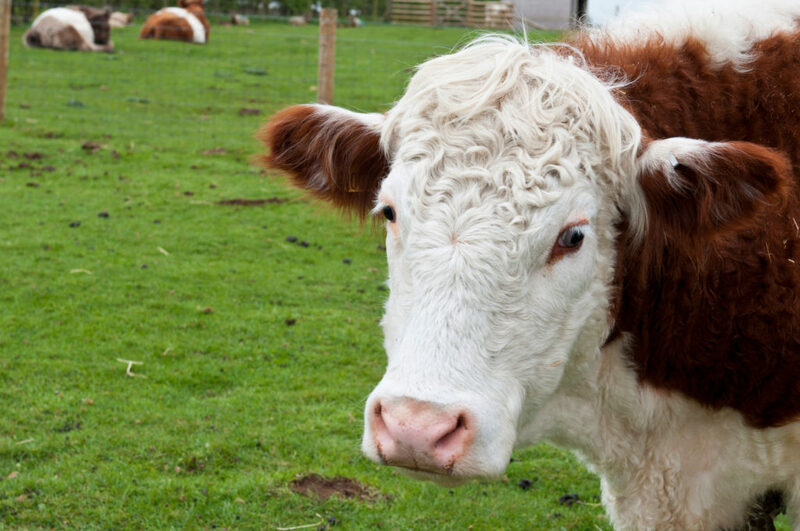 The right cattle equipment can help raise the herd and keep the property in top shape. Farming equipment costs can be substantial, and it’s important to take advantage of all sources of funding available to your farm. Whatever you decide: Buying new or used equipment will be a key to your on-farm success. Start or expand your farming business now: the Canadian Grants Business Center can help. Many people think that farming is a 3 season activity in Canada. This couldn’t be further from the truth. The winter months can be among your most productive as a farmer. Whether you spend your time tending to livestock or networking with other farmers there is never a better time than now to plan for the coming season and accomplish the prep and planning tasks that successful farmers know are so important. 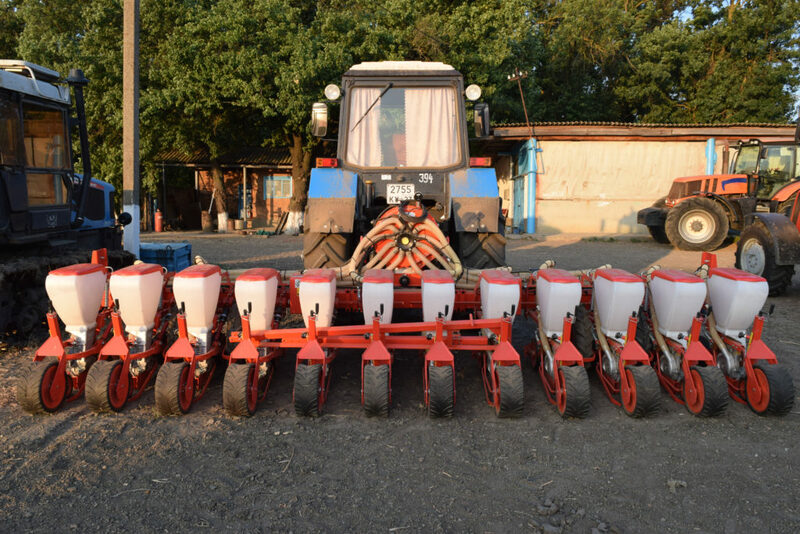 The winter is a perfect time to look forward to the coming season and ensure that farm equipment meets the project requirements and is in good working order. It’s important to properly store of equipment. Rust is the enemy of metal equipment. If metal equipment is left outside, it will rust and deteriorate faster than if it is kept inside, and out of the elements. If inside storage space is not available on your farm, use heavy-duty tarps to cover farm equipment when not in use. In the winter inspect your equipment well. Worn parts need to be replaced and make any needed adjustments. Make sure your equipment is clean and dry, especially moving parts. Remember if you use a pressure washer to keep water away from sealed bearings. After drying, lubricate moving parts and protect it from the elements. Treat any bare metal on all farm equipment with grease or use rust-preventive solvent spray. If you can keep moisture away from bearings and unpainted critical steel parts, this will help prevent rust. A shop built for farm equipment will pay off in the long run. If you are building or expanding a shop, consider the size of all your equipment and the area inside to perform your maintenance tasks. Consider space for storage shelves and enough room around the equipment to perform maintenance and repair. Some off-season effort can lead to much better productivity in the growing season.